This prospective study investigated the relationship between pregnancy-associated plasma protein A (PAPP-A) and human chorionic gonadotropin (hCG) and adverse pregnancy outcomes in the Iranian population. 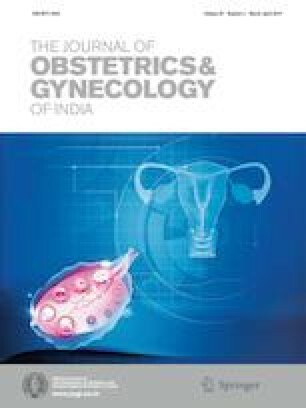 Overall, 994 singleton pregnant mothers of 18–35-year old were referred for first-trimester screening tests, including PAPP-A and β-hCG, at the age of 6 days and 11–13 weeks, and were followed until the end of their pregnancy. The adverse pregnancy outcomes, PAPP-A, and β-hCG serum levels were recorded and analyzed. The sensitivity and specificity of the test were measured by calculating the area under the curve of receiver operating characteristic curve (ROC). The mean serum level of PAPP-A and β-hCG was 1.10 ± 0.69 and 1.09 ± 0.8 MoM, respectively. Pregnancy-associated plasma protein A, regardless of its percentile, showed a significant relationship with the incidence of preeclampsia, preterm birth, and fetal low birth weight (p < 0.001 for each). However, the relationship between PAPP-A and abortion was not significant (p > 0.05). According to ROC, the results indicated that PAPP-A had a significant relationship with the incidence of preeclampsia, preterm birth, and fetal low birth weight (p < 0.001). However, β-hCG levels showed no significant relationship with adverse pregnancy outcomes. The result of this study revealed that lower level of PAPP-A and β-hCG could be a predictive factor in preterm labor. Also, this study indicated that PAPP-A measurements could be a screening test for adverse pregnancy outcomes, such as preeclampsia, low birth weight and preterm labor. Hamideh Pakniat is an Assistant Professor of Department of Obstetrics and Gynecology, Qazvin University of Medical Sciences at Qazvin, Iran. Atieh Bahman is a General Physician in gynecology oncology fellowship at the Department of Gynecologic Oncology, Faculty of Medicine, Shahid Beheshti University of Medical Sciences, Tehran, Iran. Iman Ansari is a General Physician and Researcher at the Medical Students Research Committee of Shahed University, Tehran, Iran. This work was supported in part by Kowar Hospital Development Research Center, Qazvin University of Medical Sciences. We gratefully acknowledge the Zahra Sadat Mohammadi for assistance with statistical analysis. The authors declared no conflict of interest. The researchers were committed to the ethical guidelines of the Declaration of Helsinki, and approval for the study was obtained from the Ethical Committee and Institutional Review Board of Qazvin University of Medical Sciences. The data were gathered after obtaining the participants’ informed consents, considering confidentiality and cultural obligations. Informed consent was obtained from all patients for being included in the study. This study was funded by Kowsar Research Center, Qazvin University of Medical Sciences.